Better than the "It's Great" rating!! The 6th star should simply read "It's Superb!" 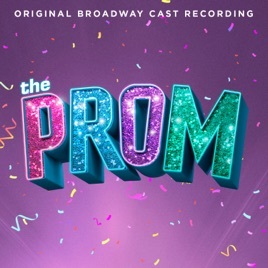 Although this musical soundtrack was only realeased today, I've been enjoying the collection of fantastic songs for two years, since I was introduced to them in the Atlanta Alliance Theatre development run (multiple times). Very fortunately, a sizeable number of the cast have continued on to the current well-deserved Broadway run. Seemingly minimal changes have taken place between the two, indicating that it was quite right the first time. Kudos to the writers! Also a sincere Congrats to the cast and musicians for having a perfect day in the studio for this recording, because it is top notch in tone, diction, and mixing. Some tunes will make you tap your toes, or clap your hands, perhaps sway back and forth . . . or even develop a tear. The music book is designed to play on multiple emotions, and it certainly does. I hope this is recognized in future awards sitautions, but we listeners are being rewarded now. Download and enjoy!! I’ve been counting down the days for the release of this cast recording and I for one am not disappointed!!! The music is great, the story is heart warming,...this whole musical is just so good and pure and it makes my unruly lesbian heart feel seen. It’s nice to have a main character who I relate so well too and see myself in. Thank you for that. Every song is a joy to listen to! I love this show!